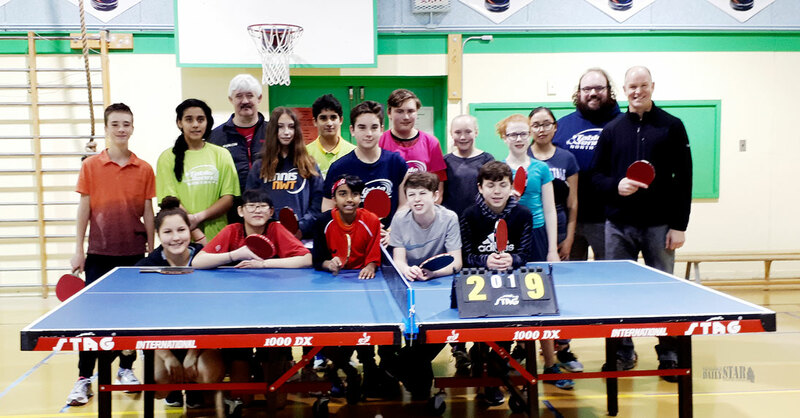 TEAM NORTH – Table tennis players and coaches from the Yukon and Northwest Territories take a moment out of their training session to take a picture on Sunday at École Whitehorse Elementary School. RETURNING SERVE – Ming Huang, left, hits the ball back over the net while her doubles partner Raghvi Sharma looks on Sunday at École Whitehorse Elementary School. Both will be representing the Yukon at the Canada Winter Games. 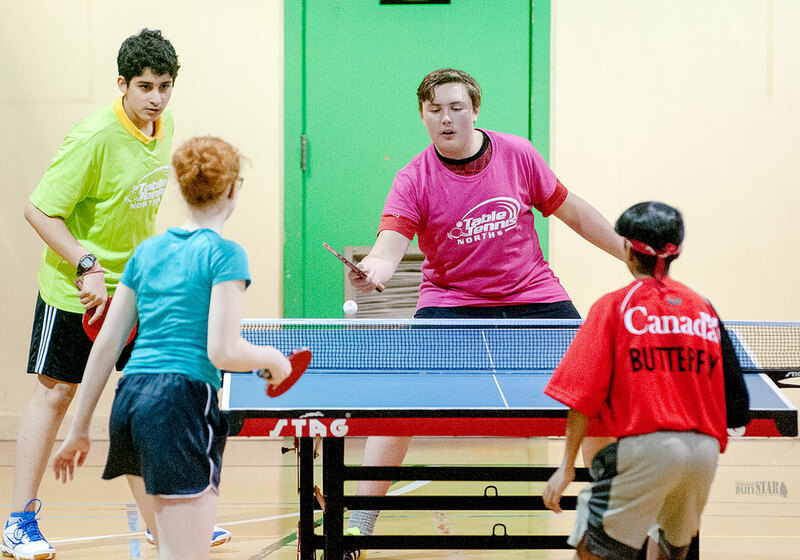 The gym at École Whitehorse Elementary School was taken over by table tennis for a three-day session. 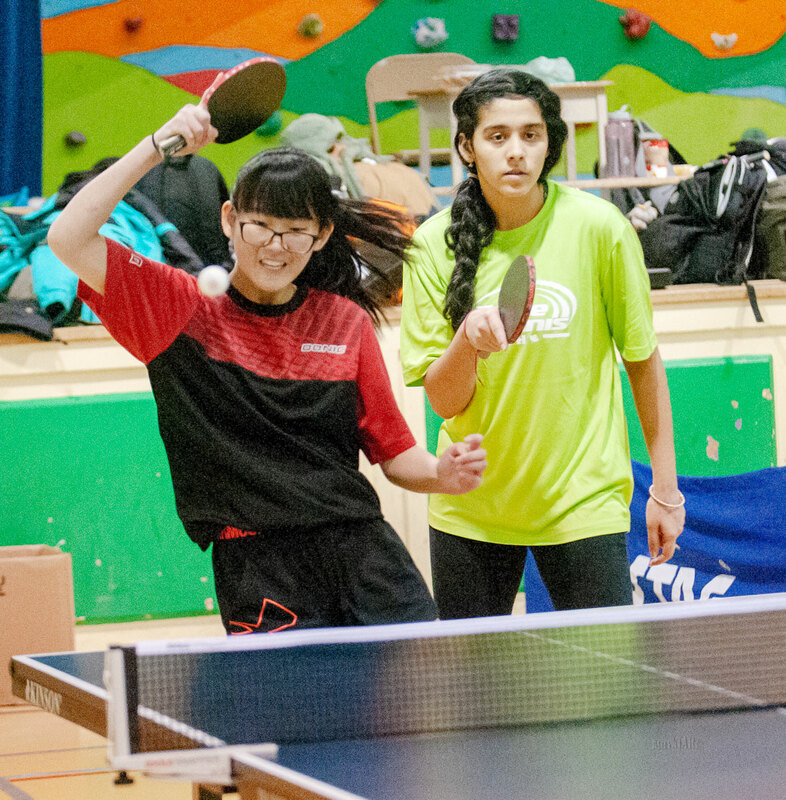 The Whitehorse Table Tennis club has been established for a number of years, but for the Northwest Territories, their club is still in the grassroots stages but is continuing to see steady growth led by coach Thorsten Gohl. 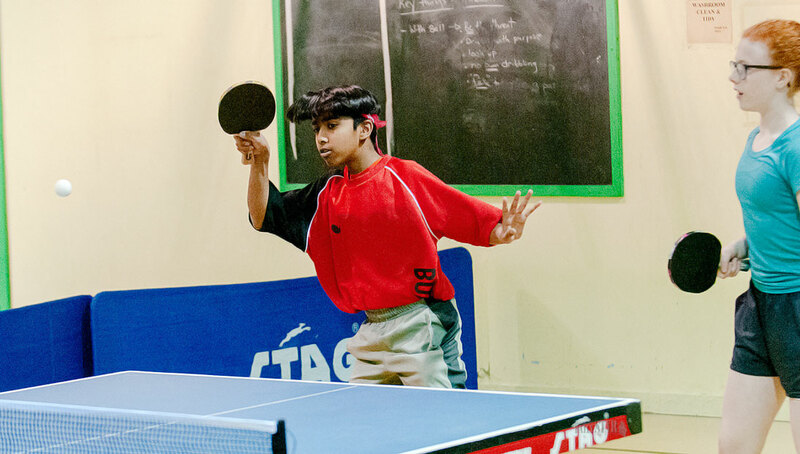 “For us, we are only three years old for table tennis in the Northwest Territories,” said Gohl. “There were players beforehand but the Northwest Territories hasn’t competed in the CWGs for 40 years. Murphy says that Gohl has done great work in growing table tennis in the Northwest Territories. Gohl has visited the Yukon in the past to help coach but this is the first year he has brought a group of players to practice and compete with some new faces. Murphy agrees with his fellow coach that it is important to get the players game experience against some new competition. Aside from adding competitive experience to their repertoire of skills, the training sessions were also about building friendships between players from the territories. When it comes to competitions like the Canada Winter Games and the Arctic Winter Games the Yukon, Northwest Territories and Nunavut will be opponents. However, in the in-between times, they are building a northern style of playing and composure. On the Yukon side of things, Murphy says the club is trying to promote the game by continuing to get into the schools. 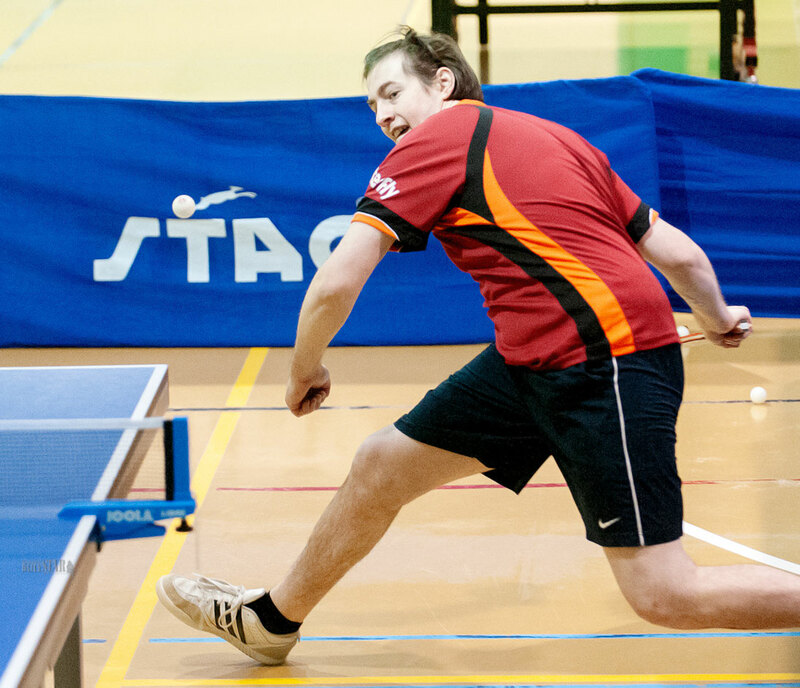 For Gohl, he believes that table tennis is a game of the north. Heading into the Games both coaches believe their teams are developing quickly. Both agreed that every practice they are seeing improvements in their technique and shot repertoire. An absolutely beautiful article. John has captured the essence of what Table Tennis in the North is all about. Such great comments and descriptions of what great things are happening and what better things are coming. GO TEAM NORTH GO!! !